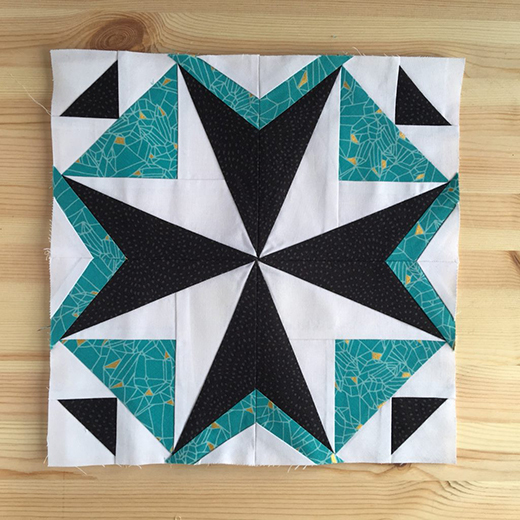 This Lisbon Tile Block designed by Jo Avery of MyBearpaw, it's the 2018 Aurifil Designer of the Month Block, The Pattern is available for free. "I have based my block on an interpretation of a few different tiles I saw on a recent trip to Lisbon. It’s made using four identical FPP templates."